Actress Penelope Cruz and her actor hubby Javier Bardem, along with film director Pedro Almodovar and several other Spanish entertainment names, have signed an 'open letter' protesting Israel's incursion into Gaza, calling it "genocide." Calling what is happening in Gaza 'genocide' is as ignorant as calling Israel an apartheid state, neither of which are true, but they're actors, after all, ruled more by emotion than intellect. The actors demanded a stronger response by the European Union to stop the military operation that has so far killed more than 1,200 Palestinians in the Gaza Strip. Civilians, including many children, have made up the majority of those killed in the offensive that Israel says is necessary to stop Hamas firing rockets at its cities. The letter, printed by Europa Press and other Spanish news outlets, reads: "Gaza is living through horror these days, besieged and attacked by land, sea and air. "Palestinians' homes are being destroyed, they are being denied water, electricity [and] free movement to their hospitals, schools and fields while the international community does nothing." Of course, no cognizance or acknowledgment of the fact that Hamas flagrantly uses Gazans as human shields, or that Hamas actually encouraged Gazan citizens to ignore the IDF's warnings to evacuate the area, leading to more casualties than might have occurred had they fled. Labelling the Israeli military the "Israel Occupation Forces", it demanded an immediate ceasefire and urged Israel to "lift the blockade, which the Gaza Strip has suffered for more than a decade". It blamed the latest hostilities on Israel’s advancement into Palestinian territories instead of observing the 1967 borders pre-dating the Six-Day War. The latest hostilities are a result of a non-stop bombardment of rockets launched by Hamas into Israeli territory. And demanding the lifting of the blockade? How come they don't demand Egypt do the same thing? And the Israelis would be idiots to do that considering Hamas wants to annihilate Israel, it says as much in the Charter. Benito Zambrano, actors Lola Herrera, Eduardo Noriega and Rosa Maria Sarda and two musicians, Amaral and Nacho Campillo. New York Times article discussing the deafening silence of the Arab States vis a vis the situation in Gaza. In a nutshell- they fear Islamist Hamas more than they hate Israel. Interesting turn of events. Battling Palestinian militants in Gaza two years ago, Israel found itself pressed from all sides by unfriendly Arab neighbors to end the fighting. The Arab States fear political Islam, they see what's happening in neighbouring countries- Syria, Iraq - African countries being overrun by the likes of Boko Haram and Al-Shabaab. And yet we have Western tools who are siding with Gaza. Yes, what is happening to the civilians there is tragic, but I fault Hamas. The RightScoop has posted Mark Levin's very interesting interview with Mosab Hassan Yousef, the eldest son of one of the founders of Hamas, who explains just what makes the terrorist organization tick, and how he became a critic of his father's group. Yousef made it crystal clear that Hamas doesn’t just want to destroy the state of Israel, but wants a global caliphate on every inch of land around the world, and he said they will kill as many palestinians as they need to accomplish this goal. Yousef said the fight that Israel is waging against Hamas isn’t just for their own existence, but for the entire world. He emphasizes that now is the time to support Israel in defeating this evil. Turkey's Deputy Prime Minister Bülent Arınç is encouraging women not to laugh in public because the man apparently considers it morally corrupt. During an Eid al-Fitr speech he touched on several subjects, including immorality and consumerism. He also condemned the Turkish people for using too much gas, owning too many cars and cell phones, and singled out women for chatting about useless things on their phones. “Women give each other meal recipes while speaking on the mobile phone. ‘What else is going on?’ ‘What happened to Ayşe’s daughter?’ ‘When is the wedding?’ Talk about this face to face." Okay, so he has some valid points about consumerism, but laughing out loud is immoral? Yes, these are the same people who want to join the E.U. Undergrad student at the University of New Orleans Chloé Simone Valdary, who also happens to be a Christian Zionist and black, has written an open letter to the Students for Justice in Palestine telling them to stop hijacking the black people's struggle. She's got quite a voice and it's worth a read. You might be surprised at which famous black people were Zionists, at least according to Ms Valdary. I don't like Hillary Clinton, although I believe she would have been a much better president than Barack Obama, but she clearly explains to the pro-Pali, anti-Israel Jon Stewart the Gaza/Israel problem. In an interview on his The Daily Show, Stewart tries to get Clinton to agree that he "the humanitarian crisis in Gaza is overwhelming, and that the world must do more for the people who are trapped by this conflict." Hillary explains that they're trapped by a leadership that is "committed to resistance and violence," and "doesn't really want to make the situation too much better because that gives them a lot of leverage over the poor people in gaza." Hillary tries her best to enlighten Stewart on Hamas. If the rebel leader’s assertion sounds like a plot twist from a particularly far-fetched spy film, that’s because it was. In an episode of the U.K. TV series “Sherlock,” an airplane loaded with corpses was brought down from the sky in order to convince a group of saboteurs that their encryption codes had not been cracked by the government. That's the first of our conspiracy theories. Then there's the obligatory 'the Zionists' did it narrative, and other crap. The Central Bankers did it to start WWIII. To be honest, I had no stomach to plow through most of the above b.s. I skimmed through much of it. Sadly, many of these wackos are conservative, usually racist, bigots. Not all of them are uneducated, which is what is most frightening. And they are totally predictable. You can rest assured that anything that happens in this world will be blamed on a false flag operation. Libyan militiamen kidnapped and then beheaded a Filipino construction worker after his vehicle was "stopped at a checkpoint" and it was discovered that he was not Muslim. He was traveling with a Libyan and Pakistani. Obviously Muslim, they were spared. Apparently, the kidnappers wanted $160,000 ransom for the man, but according to Charles Jose, Philippine Department of Foreign Affairs spokesperson, he was probably already dead when negotiations started. "... after four days of negotiations, a call was received bringing the tragic news that his headless, decomposing body is at a hospital in Benghazi." There are around 13,000 Philippine nationals working in Libya, all of whom have been told to evacuate. Post haste. “The Department of Foreign Affairs strongly reiterates its call to all Filipino nationals in Libya to return home as soon as possible,” it said. Adding that Level 4 or “Mandatory Evacuation” has been raised and that no Filipino national will be allowed to travel to Libya. “Alert Level 4 has been raised due to the latest security developments in Libya, the increasing violence and lawlessness, the closure of major airports, the heightened security threat to Filipinos, particularly in Benghazi, where a Filipino worker was kidnapped on July 15 and confirmed dead yesterday,” the statement read. And Muslims wonder why we have such a problem with their religion. Unveiled mannequins are haram- according ISIS (Islamic State of Iraq and Syria)- so shop owners in Mosul, Iraq are being forced to cover the faces of both female and male mannequins. Apparently, Sharia law forbids it.
" 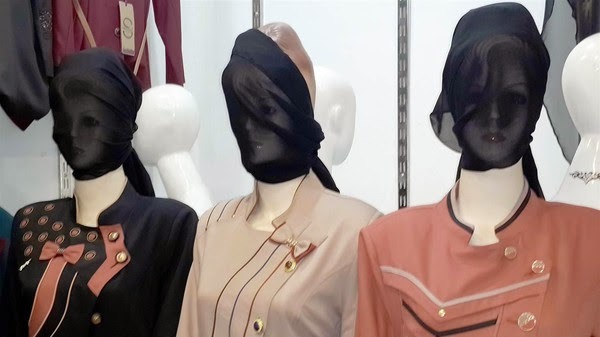 Mosul shop owners said they had been told to cover the faces of both male and female mannequins, apparently in line with strict interpretations of Shariah law that forbid statues or artwork depicting the human form." Mannequins are considered art work? At least they didn't just target the female form. Video- Who Is Responsible For The Suffering In Gaza? StandWithUs has put together a powerful video compilation of interviews and speeches demonstrating just how responsible Hamas is for the suffering of the people in Gaza. Canadian Michael Coren from Sun News talks about the violence against peaceful pro-Israeli demonstrators in Canada. Not all pro-Palestinians are into violence, but some are. And not much help from the Canadian police. 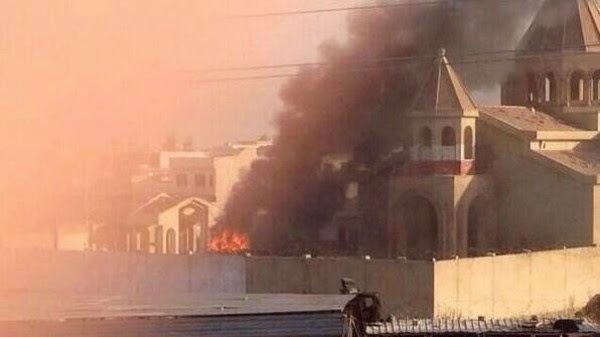 Now comes the purge of all things Christian in Mosul, Iraq. The people have fled after being given an ultimatum- convert, pay taxes or die, and now ISIS (Islamic State of Iraq and Syria) is destroying anything Christian. The jihadists started by torching an 1,800-year-old church, though they'd already destroyed some crosses and statues in the city. They've also destroyed ancient Sufi shrines and Shiite mosques. The destruction isn't surprising. Their brand of Islam has been responsible for destroying many ancient, historic sites over the years, in various parts of the world. Islamists in Mali destroyed ancient treasures in Timbuktu. Salafis destroyed the Prophet Abraham mausoleum in Syria. The Taliban destroyed the ancient Buddhas of Bamiyan. If Egyptian Salafist Murgan Salem al-Gohary had his way, the ancient Pyramids and Sphinx would be a goner. So yesterday I wrote about Jon Stewart skewering Israel for trying to defend itself. Sadly, he seems to represent a large portion of humanity that does not see Israel as having that right, with some believing that it has no right to even exist. Hamas has made the latter quite obvious. It's right there in the charter. In light of that fact, the Israelis have exercised an incredible amount of restraint over the decades it's been the target of relentless rocket attacks from Gaza. I mean, what do you do when your neighbours make your life a living hell with aggressive and violent behaviour? Do you sit back and take it, knowing they want to annihilate your people. Do you leave your borders open knowing that your Palestinian neighbours breed suicide bombers like rabbits, and even honor and celebrate them. That the Palestinians (the P.A. and Hamas) pay the families of those suicide bombers, and the terrorists in Israeli jails are paid a monthly salary. I've seen the houses of people living in sketchy areas of certain cities- the bars on the windows, the locked gates. People just trying to protect themselves and their property. There would be no need for a blockade if the Palestinians stopped provoking Israel. And it's not just Israel, Egypt too has a blockade. No-one seems to care about that. Bottom line, if the Palestinians wanted peace with Israel, a treaty would have been brokered many moons ago. But they don't want peace, they just want them gone. And that's not going to happen, as long as Israel has any say in the matter. So they will continue to defend themselves, and the world will continue to see the Palestinians as victims and the Israelis as the evil occupiers, even though Israel does not currently occupy Gaza. Surprisingly, one liberal has come to Israel's defense. Then again, it's Bill Maher- one of the few liberals who sees Islamic extremism for what it is- a threat to the Western world. On his latest HBO show, he acknowledges that Palestinians have a legitimate gripe, but does not agree with the argument from much of the world "that they also have the moral high ground." Like most of us, he feels bad for the civilians that are dying, but he posits why no-one asks - whose fault is that? "I feel terrible for a Palestinian child who dies, but if it's your father, your brother, your uncle who's firing those rockets into Israel, who's fault is it really? Do you really expect the Israelis not to retaliate?" The death of innocents in Palestine is their fault for firing rockets at Israel in the first place.Hamas would kill all Israelis if they could, but even though Israel does have that ability, they do not.Israel must win every single military conflict in order to survive.The Israeli focus on science technology vastly exceeds that of the Arab world.Israelis are right to consider threats to their lives as more important than world opinion.The Palestinians seem to have choosing to be angry refugees as a way of life.Israel isn’t going anywhere and the rest of the world needs to face up to that fact. I hope some day there is peace in that region, but I 'aint holding my breath. After living there for centuries, there are no more Christians in Mosul. ISIS/ISIL gave them an ultimatum after gaining control of the northern Iraqi city- Convert to Islam, retain Dhimma status and pay the jizya (infidel tax), or death by the sword. They had until yesterday, July 19th to decide. The few remaining families left on the eve of the deadline, most with just the clothes on their back. Apparently, Abu Bakr al-Baghdadi, the appointed Caliph of the Islamic State, announced that those who chose to leave would not be allowed to take any of their possessions. The few who tried, claim they were robbed. "We have lived in this city and we have had a civilisation for thousands of years - and suddenly some strangers came and expelled us from our homes." "The Islamic State stopped my relatives at a checkpoint when they were fleeing and when they found out they were Christians, they took everything they were carrying, including their mobile phones. They left them only with the clothes they were wearing." But the Christians aren't the only ones ISIL has targeted, the Sunni radicals have forced Kurdish Yazidis, and Turkmen and Shabak Shi'ites to flee as well. Those they haven't captured or killed. And that area was once considered the "cradle of civilization." More on what they have endured. Jon Stewart launched a verbal attack against Israel during his July 14 show regarding the Israel/Gaza conflict. He lambastes Israel for notifying the Gazans about an imminent air strike by exploding a small mortar on the roof of some building, while they use a high tech smartphone alert system. Stewart makes it sound as if this is the only warning that Israelis give Gazan citizens about an impending attack. But that's a blatant lie, or willful ignorance. Israelis do warn the Palestinians- with leaflets, phone calls and text messages. In fact, Israel just warned the Gazans to evacuate, and Hamas told them to ignore the IDF's warning, even encouraging them to act as human shields, which is something they have a penchant for. The small roof attack is simply a last resort when the other warning systems are ignored. Then Stewart snarkily asks where are the Gazans supposed to evacuate to, talking about Gaza as if it's a few square blocks, and a shithole. Let's see how terrible Gaza really is. This video was filmed by a Palestinian (so you don't think it's Israeli propaganda), titled My Beautiful City- Gaza Palestine. Doesn't look too shabby to me- lots of fresh food and goods in bustling outdoor markets, horseback riding, swimming in the ocean, it even shows one young horseback rider with a fancy Canon DSLR camera. Oh, and they used to have a water park with luxury restaurants, until Hamas burned it down. And here's Gaza's shopping mall. There are plenty of places to evacuate to Jon. If you would just do some research before you open your mouth. MidEastTruth has compiled a video rebuttal to Stewart's misinformation, including snippets of an interview back in 2009 with British Commander Richard Kemp who led troops in Afghanistan in 2003 and who claims that in the history of warfare there is no army "that has made more efforts to reduce civilian casualties, and deaths of innocent people than the IDF is doing today in Gaza." The video then shows a compilation of photos showing the bright, prosperous side of Gaza living. Then there are snippets of an interview with the Palestinian envoy to the UNHRC, who talks about the indiscriminate bombing of Israel by Hamas as a "crime against humanity" because those rockets are targeting civilians, unlike the IDF's retaliatory attacks that are specifically aimed at Hamas targets. And unlike the IDF, there are no warnings from Hamas. Whether they like it or not, Muslim women in the Fiji Islands will be forced to have their pictures taken sans their hijabs for their Fiji National Provident Fund and Fiji Revenue Customs Authority joint ID card. Fiji does not have the equivalent of a CAIR advocating for veiled women, so Fijian officials have no-one to cave in to. "I can't just take off my hijab in front of anyone, especially a man. That violates my religion and I feel that I would have shamed not only myself but my family. 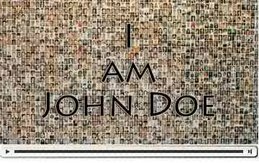 "If staff are not able to see the member's full facial features required for identification purposes, then there is no assurance that the member is the same person that is on the IDs being presented to us." So the mother and daughter will get their photos taken by women. At least the Fijians didn't cave. Since Hamas terrorists love to use civilians as human shields, the Israelis warned the people of Gaza to evacuate so they would not become casualties while the IDF targets militants. In response, Hamas officials told them to stay put. This is how much Hamas respects and honors the people of Gaza. Obama "is gonna go down as one of the worst presidents ever" claims one Chicago resident. The people in the following video are pissed as heck that Obama is pumping beaucoup bucks into providing for illegal immigrant children crossing the borders while neglecting the children of Chicago who are being gunned down in droves in the gun-controlled city. Over the July 4th weekend, 82 people were shot and 16 killed. In the video, one man likens the city to Beirut. Ironic, considering Chicago is Barack Obama's home town. This isn't the first time Obama has been criticized by Chicago residents. These black activists blasted Obama's State of the Union speech back in January. The original poster also added this in the comment section. The US funds Israel's glittering cities (and brutal occupation) while our own cities rot from decades of neglect. It's quite obvious where this person stands, as far as his support for Israel goes. And is most decidedly anti-Israel. A friend of my "friend" called her out on this, but was rebuffed and told that this wasn't about the conflict in the Middle East but rather a city in the U.S. that was dying. Others chimed in saying this was not about the Jews either. But it is. The use of "brutal occupation" and the fact that they singled out Israel makes it so. 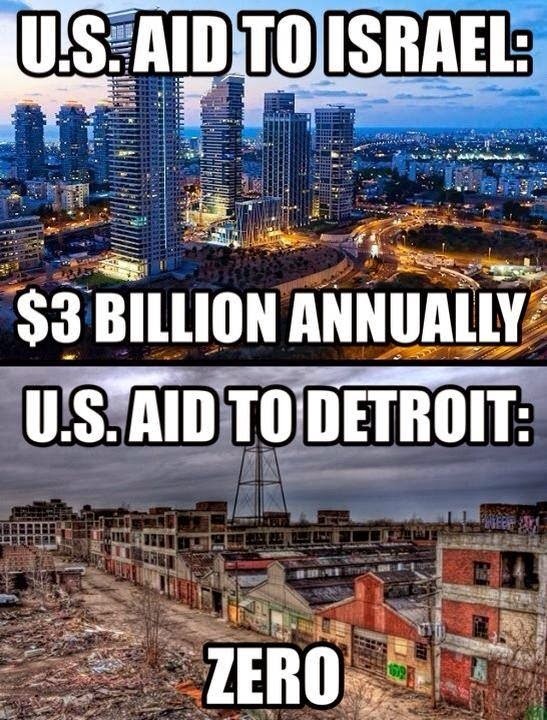 Had they truly only had Detroit's interests in mind, whoever created the poster would have replaced "Israel" with "foreign aid." And whose fault is it if Detroit is bankrupt and dying? Corruption in local politics which eventually landed Kwame Kilpatrick, the former mayor of Detroit, a 28 year jail sentence for his part in helping Detroit go broke. And then the feds pumped a heck of a lot of money into the car industry there, which made no difference at all. And it's as much the responsibility of the people of a city to take pride enough in themselves and their environs to not allow it to deteriorate, or to succumb to crime. We give aid to many foreign countries, including Palestine, Jordan, Egypt, Pakistan, Afghanistan- to name a few- and what have they contributed to the world? Not much of anything other than terrorists. On the other hand, Israel, the only true democracy in that region, continuously contributes to the betterment of this world. This video shows some of those amazing innovations, and it's a very small part of what Israelis have invented or created over the years. 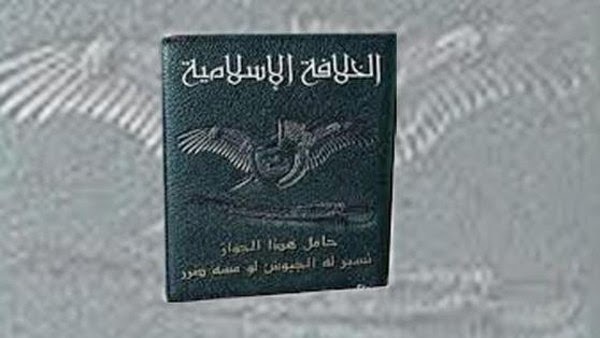 After recently declaring a caliphate, the Islamic State of Iraq and Syria (ISIS) is allegedly planning to issue passports to those living within the confines of the caliphate. The history of Islam in 15 minutes by historian and former evangelical pastor William J Federer. American designer Donna Karan has added a for-Muslim-women line to DKNY. Two Middle Eastern women designed the conservative outfits which are debuting as the Ramadan Summer 2014 collection. Yalda Golsharifi is the fashion editor of Styles Magazine, and designer Tamara al-Gabbani is based in Dubai. The line boasts long, flowing dresses, skirts, and jumpsuits; long-sleeved shirts, coats, and even a three-quarters-length leather jacket. Bina Shah, writing for The Independent, says the result is a collection that is “inspirational for Muslim women looking for ways to be glam and modest at the same time. “The fabrics drape around the body, encasing the curves that nature gave Middle Eastern women without making them obvious, or attempting to disguise them in bag-like abayas. They walk the fine line between cosmopolitan and conservative, luxurious and ostentatious,” she added. As far as I can tell, they removed the whole phrase because I couldn't find it on the DKNY website. Maybe you can. Nothing wrong with modest clothing, but dang they're ugly. Then again, didn't find anything appealing in the non-Ramadan line either. The collection is only available in DKNY stores in the Middle East: UAE, Qatar, Bahrain, Kuwait, Saudi Arabia, Lebanon, Jordan and Iraq. Who knew they had a location in Iraq. They'll be selling burqas out of that store once ISIS takes hold of the country. Back on July 4, 1776, the U.S. congress approved the text of the Declaration of Independence from Great Britain. Here's a dramatized version of the events leading up to that, from HBO'S "John Adams". It's America's birthday, y'all. Go out and celebrate, but be safe. We now know that the three kidnapped Israeli teens were found murdered. The mother of one of the accused states that if her son was guilty of the kidnapping, she will "be proud of him until judgement day." Her boys are all "righteous, pious and pure. The goal of my children is the triumph of Islam."